Britt Van Deusen is an artist in Richmond, Virginia. Having studied painting at the College of William & Mary as well as L’Atelier Marchutz in Aix-en-Provence, France, Britt earned a Master’s degree in Art Education from Virginia Commonwealth University and taught art in Henrico County public schools, at the Virginia Museum of Fine Arts, and at the Visual Arts Center of Richmond. In her current work, Britt maps out new ways of seeing the self, in particular the pre-adolescent and adolescent self. In her portraits, Van Deusen turns a blind eye towards popular culture and a bright searchlight towards a young person’s inner world, in the hopes of projecting outward the complex and powerful sense of self that they present. 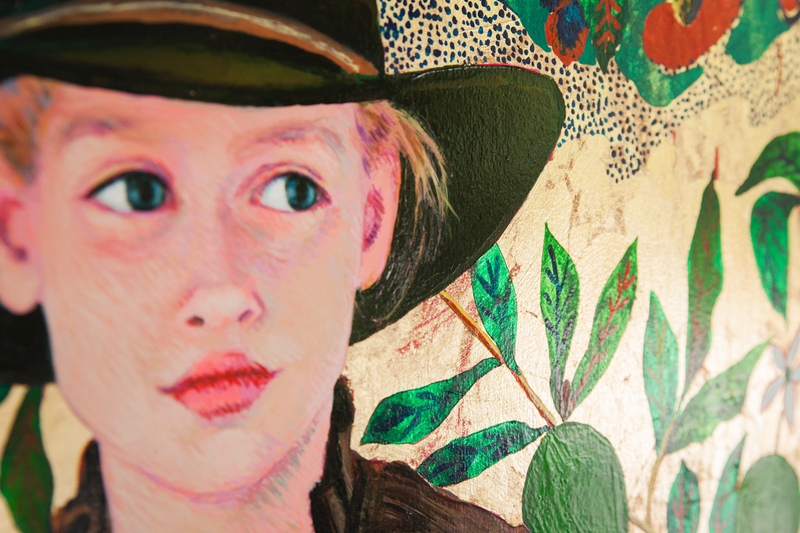 Endeavoring to represent subjects faithfully and respectfully, Van Deusen strives to create a new iconography of the self for young people who are growing up in this 21st-century Gilded Age.